For the last two years, Fairclough and Porter have traveled to every inhabited continent on the planet with a simple goal: to show the world a new vision of mountain biking. Joined on this quest by a collection of the most progressive and influential riders that this generation of mountain biking has to offer, Fairclough and Porter have embarked on an all-out assault on the bleeding edge of the sport’s limits. DEATHGRIP is a relentless mission to challenge the limits of creativity, technology, and the human potential. 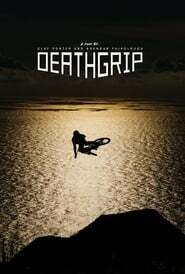 DEATHGRIP is a creative oasis for Fairclough and Porter – a place where the raw expression of Fairclough’s riding ability is captured with the most progressive filmmaking technology against the backdrop of the most visually engaging locations in the world. The future is now.